Article in Mobile App Development, iOS App Development categories. Let’s face it: you have a lot on your plate. Between daily meetings, scheduled naps, and grocery runs, carving out time for giving back to your community can seem like a Herculean task. In a society fixated on material things, we often forget that kindness can be found in small, personal joys—walking your dog, for example, or snapping a selfie. Here are the six best charity apps that make giving back a little easier. Although capturing daily moments with your smartphone is a rather modern ritual. Taking pictures might as well be the most natural task in the world—after all, at its root, it’s an instinctual act of preservation. Donate a Photo, created by Johnson & Johnson, allows you to give back by sharing your most cherished moments with the world: simply upload a picture from your camera roll (or snap a quick photo through the photo app), and Johnson & Johnson will donate $1 to a charity of your choice. (You can submit up to one photo a day.) It’s a win-win situation: your photos will inspire others to share their best memories with the world, all at no cost to you. Dog lovers, rejoice! This app turns an everyday task into an exciting act of giving. 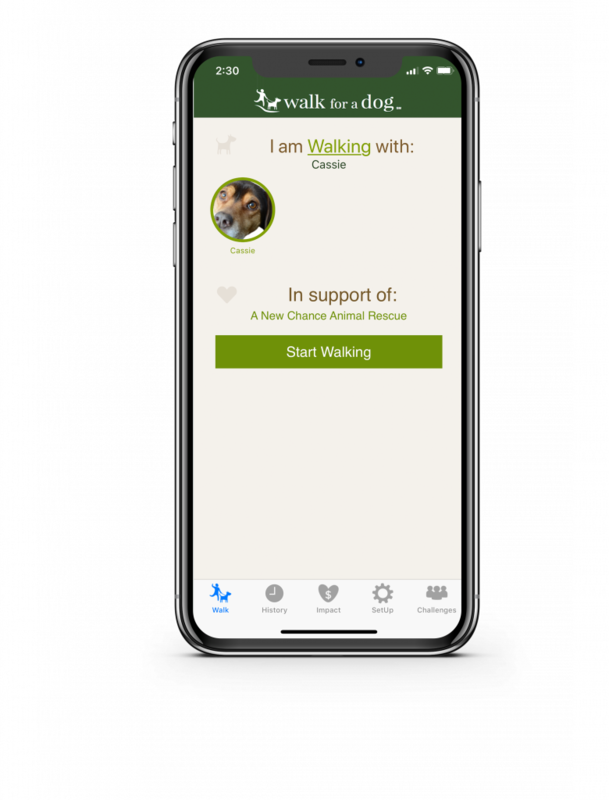 After entering your dog’s basic information into the app, you can track your daily walking activity, create fitness goals, and share your progress on social media. Simply choose your local animal organization, activate the app, and get going! Make sure you spread the word—the more people on the app, the greater the donation. We know, we know—you didn’t need any more reasons to spend time with your best pal, but in case you did Walk for a Dog is one of the best charity apps for you. Have a few minutes? Be My Eyes harnesses the power of your smartphone camera to help visually-impaired persons with everyday tasks. 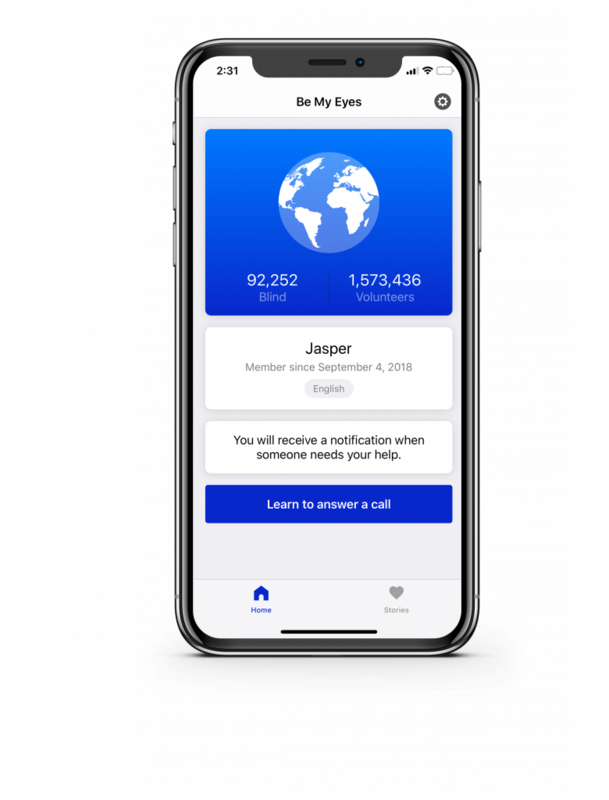 The app will notify you when someone requests your assistance, at which point it’ll video-connect you with someone in need. The possibilities are endless: whether you’re checking an expiration date or offering your opinion on an outfit, know that you’re using technology in a smart, meaningful way. 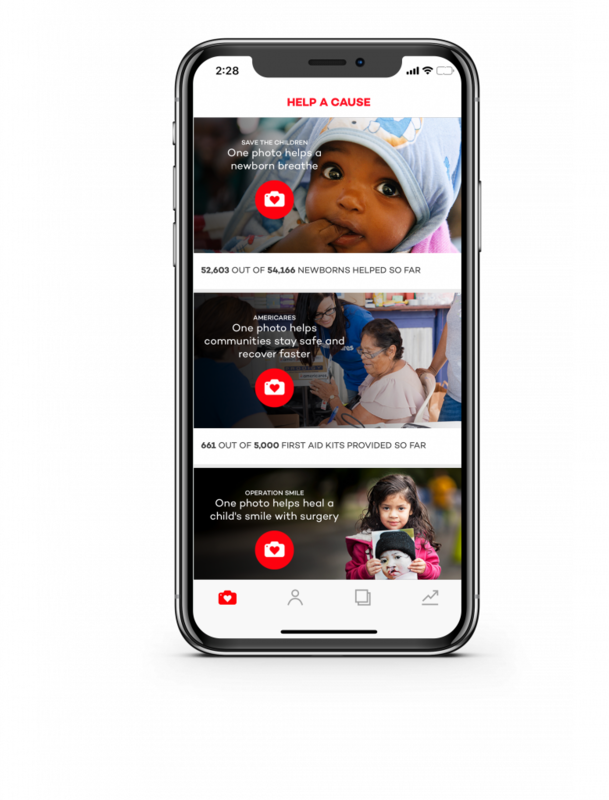 Bonus: this is one of the best international charity apps and is available in more than 180 languages and 150 countries. An innovative initiative that spans the globe—how’s that for the greater good? Join a movement—with movement. Whether you’re a devout fitness buff or just a casual runner, why not make your workouts count? Just start the app when you’re about to exercise, and it’ll take care of the rest. Amp up the intensity of that workout: the farther or longer you go, the greater the donation. Charity Miles certainly isn’t limited to runners—it tracks all kinds of movement, including dog-walking, dancing, weight-lifting, and cycling. 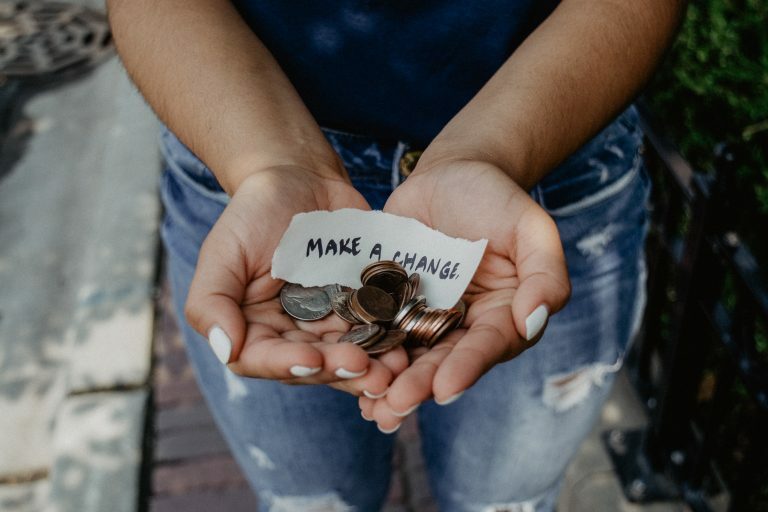 With more than 40 charities to choose from, Charity Miles confirms what we already know: there’s never been a more inspiring time to get off the couch. Heads or tails? Coin Up is the best of the charity apps “rounds up” your credit card transactions to the next dollar, donating the additional money—the spare change, as it were—to the organization of your choice. Think about all the loose coins jingling around in your wallet; now imagine that in digital form. It’s a straight-forward, transparent way to start giving: not only can you set a monthly donation limit, but everything you give is tax-deductible. What’s a more unique and seamless approach to everyday charity? We think we’ve hit the jackpot with this one. The concept is simple: tap the screen to donate $0.50, which will feed a child for one day. ShareTheMeal, created by the World Food Programme, is the first-ever app to address world hunger, the world’s most widespread solvable problem. 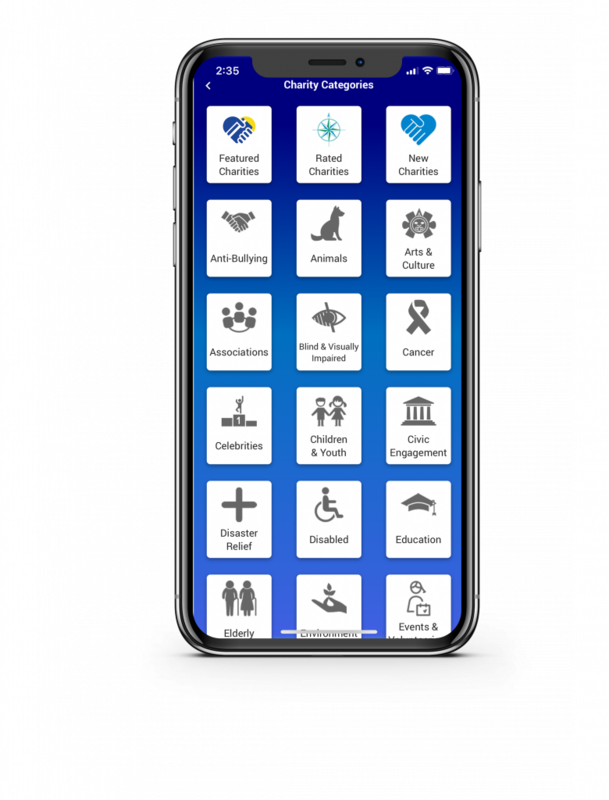 The app is packed with fun, community-focused features: join a team, for example, and take on different fundraising challenges, or take part in The Table, through which you can sponsor and learn more about a family in need. 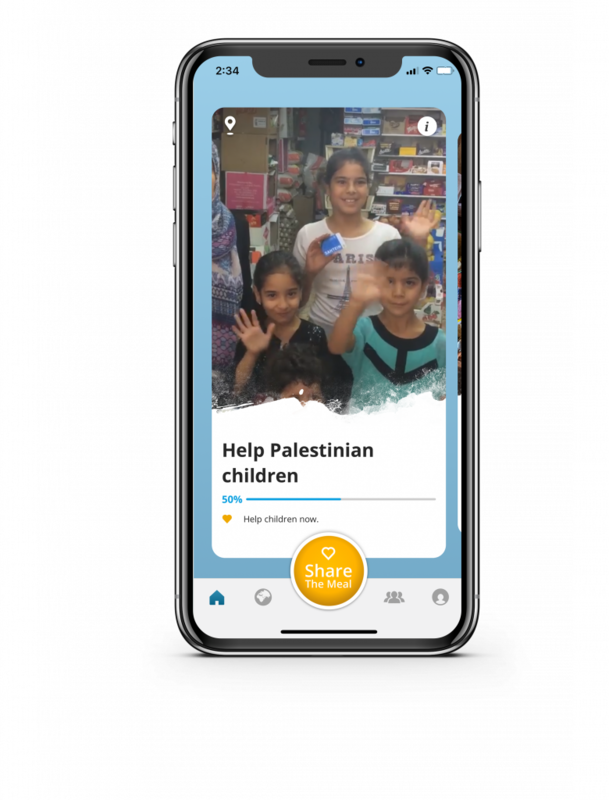 Spread the word, too, with the app’s Camera Giving feature, with which you can place a #ShareTheMeal filter on a snapshot of your food. Next time you sit down for a meal, try inviting others to the table!